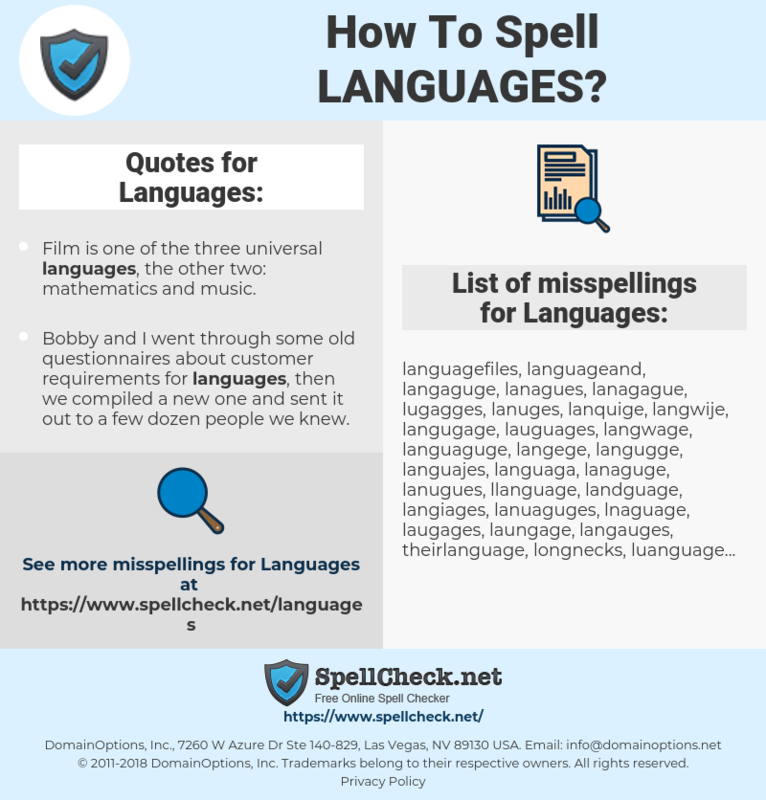 What are the misspellings for Languages? What are the common mistypes for Languages? What are the usage examples for Languages? What are the quotes for Languages? What are the translations for Languages? What are the common typos for Languages? This graph shows how "Languages" have occurred between 1800 and 2008 in a corpus of English books. 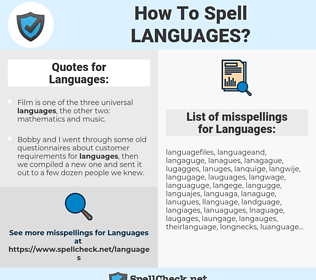 Bobby and I went through some old questionnaires about customer requirements for languages, then we compiled a new one and sent it out to a few dozen people we knew. As you know, there are certain languages that lend themselves very easily to vocal use. National languages are all huge systems of vested interests which sullenly resist critical inquiry. Any psychology of sign systems will be part of social psychology- that is to say, will be exclusively social; it will involve the same psychology as is applicable in the case of languages.